This cute little cut-work owl purse is the perfect size to carry around the essentials conveniently at your side. 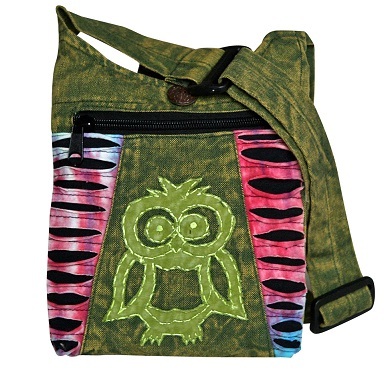 This bag measures approximately 8" x 9" and features a front zip pocket and an inside zip and button closure in the middle. With a strap long enough to be worn across the body, this makes for the perfect festival/concert purse. The strap is also adjustable.